Since UFC 104 is coming this saturday, of course I have to do my signature Friday Predictions. But I didn’t want to forget about thing I have been playing around with this week: mail! 5. Rubber Stamps – my favorite places to look for eccentric, one-of-a-kind stamps are Gorey Details and Etsy, bien sûr. 4. 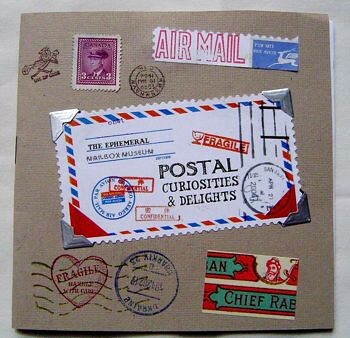 Snail Mail Projects – Five different projects involving mail, including Tweeting via Snail Mail. 3. Clubs – Being a member of the Letter Writers’ Alliance, I am always interested in other letter-writing clubs/societies. I have found the Regional Assembly of Text and A Passion for Letters (who, by the by, has an mind-blowing list of links). 2. Letters of Note – Correspondence deserving a wider audience. The saddest one is Beethoven’s to his brother about why he was so angry and pushed everyone away – his family didn’t know he was deaf. 1. World’s Smallest Postal Service. So adorable and cool. I like to send mini notes to friends who need a lil cheering up. Wondering what will get sent through the mail? Apparently, a lot more than you would think.